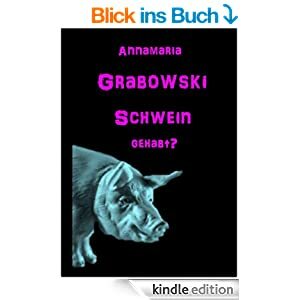 Mai 2014 – Schwein gehabt? 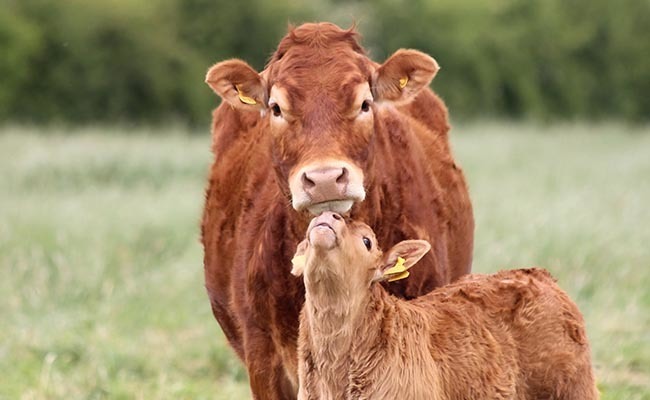 Cows are incredibly intelligent, thoughtful and sensitive animals who are among the gentle giants of the world. Despite weighing in excess of 1,400 lbs, they have no instinct to harm and can be a wonderful companion to those lucky enough to spend time in their presence. Despite this, the vast majority of cows spend their lives confined to dreadful conditions on factory farms where they are subjected to all manner of cruel and inhumane practices so that we can exploit their bodies for milk and meat. When confined to the stalls of a large dairy or beef farm, they are unable to exhibit their natural behaviors, and this leads to a widespread misunderstanding of their true nature. Members of the prestigious Wharton Club of DC had to walk through picket lines last Friday if they were attending a talk about Walmart’s „sustainability initiatives“ given by the company’s director of sustainability, Katherine Neebe. MFA staged an eye-catching demonstration that featured our supporters wielding signs declaring, „Walmart Tortures Animals“ and bearing the images of abused pigs locked in filthy gestation crates.The protest confronted Neebe over Walmart’s continued sourcing of pork from factory farms that confine sows in narrow cages so small the sows cannot even turn around — a cruel practice banned in many states and the subject of phaseouts by all of Walmart’s competitors. Gestation stalls are so cruel that they have been banned in nine U.S. states and the entire European Union, and have been denounced by leading animal welfare experts, including Dr. Temple Grandin. Dozens of food industry leaders, including Costco, Kroger, Safeway, McDonald’s, and Burger King, have committed to phasing out the use of gestation crates in their supply chains. It is reprehensible that Katherine Neebe and Walmart would lecture young business leaders about sustainability while continuing to support such horrible cruelty to animals. Walmart supports blatant animal abuse by buying pork from suppliers that condemn intelligent and social animals to a lifetime of misery and deprivation in crates where they can’t even turn around, walk, lie down comfortably, or engage in other natural behaviors. The moment is now for Walmart to get with the times and follow the lead of all its major competitors. The only sustainable and socially responsible choice is to require the company’s pork suppliers to phase out cruel cages for mother pigs. To take action and tell Walmart to do the right thing, visit WalmartCruelty.com today and sign our Petition. Ich habe mich den Tieren in der Massentierhaltung, hier besonders den Schweinen, zugewandt.Ich bin der Frage, was uns Menschen bewegt, Tiere in Massentierhaltung, Massentiertransporten, Massenschlachtanlagen zu bringen, nachgegangen.Enstanden ist dieses Buch, das auch eine Kulturgeschichte des Fleisches, des Fleischgenusses, aber auch der Gewalt ist. Vorgestellt wird auch die Situation derer, die in Schlachthöfen, auf Tiertransporten und Auktionshäusern für Farmtiere arbeiten;die Frage wird gestellt, welche Auswirkungen ihre Tätigkeit auf ihre Umwelt, die nähere und weitere, haben könnte, wleche Folgen chronische Gewalt an Tieren bei Tier und Mensch auslöst. 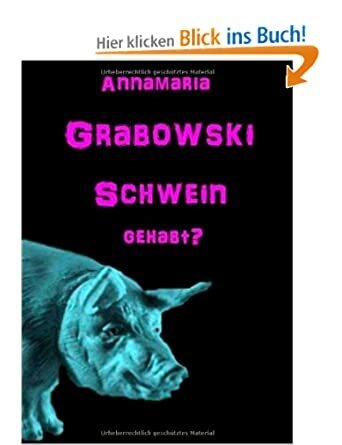 Wissenschaftler werden zitiert, die nach intensicen Forschungsarbeiten davon überzeugt sind, dass Schweine intelligente, aufgeweckte und soziale Tiere sind. Es wird berichtet von Hamlet und Omelette, zwei Schweinen, die Videospiele lieben, von Lulu, die die Mutter ihrer Besitzerin rettet, von Schweinen, die sich selbst im Spiegel erkennen, die schwimmen und tauchen können, ach und noch so viel mehr.Das Schreien und Weinen der Schweine, bei der Kastration der Ferkel, bei der Wegnahme der Ferkel vom Muttertier, bei Abholung für den Transport zum Schlachthof, beim Schlachten am Hof, hat mich so bewegt, dass ich mich daran machte, über das Leben der Schweine zu recherchieren. Sneaky meat byproducts may be making you sick – but where are they hiding? (NaturalNews) Are you a milk drinker? Are you a vegan or vegetarian? You may also be eating meat and not know it. Have you seen the ingredient „acid casein“ as an enrichment? What about amylase — have you seen that ingredient? Some people don’t even read the ingredients of their foods, drinks and personal care products. Other people are quite selective when it comes to eating animals by accident or putting animal byproducts on their skin, like lotions, antiperspirants and shampoo. Amylase, in some forms, is fungal or bacterial, and comes from pigs — digestive enzymes of the baby pig, as a matter of fact. The careless, carefree, toxic food industry uses it in a lot of baked goods. Casein is made from milk and is often used for bread and cereal enrichment. What does „enrichment“ even mean? Is it like „fortified,“ where Big Food makes you think something dead they „add back in“ to food is worth your while to eat, or is it really about adding in sickness to food, including meat and dairy byproducts, such as gelatin, that contain chemicals and carcinogens? Let’s explore. If you’re vegetarian or vegan, stop reading now. This might hurt a little. If you are a health-conscious consumer and simply love organic food, stop reading now. This will hurt a lot. Ambergris, which is whale intestines, is used for food flavoring and for making perfumes! Clarifying agents often come from animals in the form of gelatin or fish bladders. They’re used to help filter out small particles from liquids to make them clear. A nifty sales tactic, but what „clear“ liquids are you drinking that contain reduced animals? Cystine is human hair or horsehair that you might find in your food supplements. Yes, the human body can produce L-cystine, but that’s not the source we’re talking about here. Human flesh is meat. What kind of meat do you eat? Are you being „cannibalized“? Diglycerides often come from a cow or hog. Peanut butter, chewing gum, ice creams and shortening often contain diglycerides. Using diglycerides helps mix ingredients that normally don’t mix well together, like water and oil, but what is it mixing up in your gut? Are you eating pesticide and insecticide with that diglyceride? Sometimes, dough conditioner comes from animals that are abused and tortured and die horrific deaths in CAFOs (concentrated animal feeding operations) across America. Most animal parts that are not sold as meat in grocery stores are reduced — cooked down to a gummy, bouncy-like substance which the world knows (or doesn’t know) as gelatin (think of most chewy candy). Ever seen or heard of glyceryl monostearate, potassium bromate, locust bean gum (carob), benzoyl peroxide or calcium sulfate? They’re just „conditioning“ your dough with GMO! Emulsifiers are smoothing agents. Sounds harmless. Enzymes are important for human digestion, but there are different kinds of enzymes that you DON’T want in your body — and those are the kind coming from infected, sick animals that are „processed“ by Big Food plants that also process cancer food for the masses. Plus, emulsifiers can be synthetic, so add that into the mix of nightmare food that makes you sick and causes irritable bowel syndrome, allergies and nervous disorders. Think of lecithin, mono- and diglycerides (popular one! ), calcium stearoyl, polysorbate and monostearate. Some enzymes contain fungal and bacterial pathogens. If you eat cheese and you don’t look for the vegan kind, you are most likely eating rennet — a calf’s stomach lining. Protease and lipase can be animal derived. Also research trypsins. Gelatin is a breakdown of animal hooves, muscle, hides and bones. Consider now those jellybeans, marshmallows, the not-so-healthy commercial yogurts and frosted cereals. It’s used as a thickener for shampoos and cosmetics, and don’t forget the coating on pills and capsules, even the organic ones sometimes. Don’t eat abused animals with your organic supplements, please! If you buy commercial pie crust, it contains animal fat, most likely from the cow or the hog — including tallow and lard. • Bovine cow serum: Injecting cow skin causes connective tissue disorders, arthritis and lupus, as well as shortness of breath, low blood pressure, chest pain and skin reactions. • Gelatin: Derived from the collagen inside animals‘ skin and bones. Can contain synthetic growth hormones and BSE infectivity (mad cow disease). • Egg protein: Vaccines are prepared in eggs (certainly not organic). May contain growth hormones, antibiotics and Salmonella bacteria. • Human albumin: The protein portion of blood from pooled human venous plasma, when injected, causes fever, chills, hives, rash, headache, nausea, breathing difficulty and rapid heart rate. Injecting „pooled blood“ can result in a loss of body cell mass and cause immunodeficiency virus infection, or it may contain SV40, HIV, carcinogens or hepatitis B from drug addicts. • Formaldehyde: Highly carcinogenic fluid used to embalm corpses. Ranked one of the most hazardous compounds to human health. Keratin: Usually animal (chicken, hair and nails). This is what the amino acid tyrosine is often made from. Lac resin (shellac): Animal (insect secretion). Find it in candy, fruit and pills. Lactic acid: Animal, milk; found in pickles, frozen desserts, fruit preserves, candy, olives, yogurt, cheese, chewing gum and even in beer sometimes. Lactose (saccharum lactin): Milk sugar from mammals. Used for souring milk, medicinal diuretics, laxatives baked goods, medicines and baby formulas. Happy hunting! Choose 100% organic, shop at local farmers‘ markets and drink spring water. No more sneaky meats for you. There’s a problem with our banks. They’re using our money to bankroll factory farms. Last week, I emailed to tell you about one of the banks we’ve been keeping tabs on. It’s called the European Bank for Reconstruction and Development (EBRD) and you own a part of it through the taxes you pay. But you wouldn’t like what it’s doing. Although the bank claims to only invest in projects that are ‘environmentally and socially sustainable’, we’ve shown that it’s doing the opposite of that; it’s funding factory farming. Last week, I asked you to send a message to the EBRD at their annual general meeting. Thousands of us took action to tell the EBRD to stop funding factory farming. The EBRD has recently announced that future farming projects will adopt EU animal welfare standards. It’s a step in the right direction, but it still allows animal suffering; it still wastes vital resources; it still threatens our health and wellbeing; and it still trashes our environment. The EBRD must stop funding factory farming, and I need your help again to make this happen – join me in signing our petition to the EBRD’s Board of Governors. They hold the power to stop this madness. Our Investigations Team recently travelled to Turkey to see a factory farm that the EBRD has funded to the tune of up to 30 million euros. We documented the brutal handling of chickens, polluted rivers and dangerous conditions for the workers. And that’s just the tip of the iceberg – we also spoke with communities in the Ukraine, where the EBRD has bankrolled more factory farms, and found the same kind of stories again and again. It’s all part of the wealth of evidence that cruel, crazy factory farming cannot feed the world. It’s screwing animals, people and the planet. We need to take action to stop this. Last week, the EBRD got their first message that taxpayers will not stand by while they bank on brutality. Now I need your help again – join me by signing our petition to put pressure on those who can choose whether or not your money is spent on factory farming. Standing with you, against those banking on brutality. PS Please don’t ignore this email if you don’t pay income tax. Chances are you pay tax to your government in all sorts of ways – even on the food you buy! Your money is funding factory farming. Please join us in calling for this to stop. PPS You may have noticed that we’ve changed the name of our movement for animals, people and the planet from Raw to Farmageddon. Given the success of our recent book, Farmageddon: The True Cost of Cheap Meat, we took the decision to re-name the campaign in support of this. (NaturalNews) A Danish pig farmer has admitted on national television that Monsanto’s Roundup Ready soybeans harmed his herd and he is now calling for a ban on all transgenic feed treated with glyphosate. Ib Borup Pedersen says his pigs grew ill, lost their appetite and developed diarrhea, among other symptoms, after he fed them genetically-modified (GM) soybeans treated with Roundup, a mistake he says he will never make again. The feed switch occurred after Pedersen’s normal non-GM feed stock ran dry, requiring him to substitute GM feed instead. Almost immediately, Pedersen’s pigs began developing stomach ulcers and bloat, a side effect also seen in cows and other livestock fed GMOs. The switch also caused many of Pedersen’s pigs to lose their appetite and develop loose stools, which in turn resulted in lower milk yield. A recent televised report on Denmark’s TV 2 OSTJYLLAND told Pedersen’s story to a national audience, explaining how the effects of GM soy and Roundup also harm reproduction. As it turns out, many of Pedersen’s GM soy-fed pigs bore piglets with birth defects and other health problems, raising questions about the validity of the safety assessments used by national governments permitting the continued use of glyphosate and GM feed products. It is generally known within agriculture circles that some traces of glyphosate, the active ingredient in Roundup, will end up on crops and in crop feed. And governments around the world, relying mostly on information provided to them by the industry, have continually reassured the public that these trace levels are safe and do not substantially affect the end product. But based on Pedersen’s experience, this is simply not the case. Though GM soy and other transgenic feed products are not actually grown in Denmark, or really anywhere in Europe for that matter, these products are routinely imported from South America and the U.S.. In fact, much of the animal feed stock now used in Europe contains GMOs, which for those paying attention, is having disastrous effects. Pedersen says when he switched back to the non-GM feed, his litter experienced a dramatic recovery. Not only are the pigs healthier now, but they are also more productive. And in the long run, this improvement is saving Pedersen money, despite the fact that non-GM feed is typically more expensive than GM feed. „Of course it can be purchased, and the price premium is 40-50 kroner ($7.50-$9.50) per 100 kg, but then Denmark can set an example in providing food that does not harm consumers,“ he added. In the meantime, Pedersen is working to expose the immense dangers of GM soy and Roundup, which are surely having similar effects in other farmers‘ herds. He has even sent tissue samples of his previously affected pigs to labs for analysis, revealing the presence of Monsanto’s chemicals at disturbing levels. „We have sent some of them to Germany to be examined and they have actually been found to contain glyphosate in their internal organs, in their muscles, liver, kidneys and intestines,“ explained Pedersen. Sow stalls (or gestation crates) confine female pigs for their adult lives in a space so small they cannot turn around. Following two or three years of intensive confinement, sows are trucked to slaughter. Sows must live in a space barely larger than their bodies. The stall limits their movement to a couple of steps forward or back. Sows are selectively bred to produce ever larger litters and as a result, many sows no longer fit this tiny space (2′ x 7′). Many of the sows shown in this video are young and have just been put into the crates. As they grow, the amount of space afforded them will become smaller and smaller. Sows must live on hard, cold concrete flooring. They are not provided nesting or rooting material, or other bedding. Over time, the hard surface and metal bars cause painful abrasions and sores from lying on the hard, damp surface. Lack of exercise often results in muscle atrophy, arthritis and lameness. Many sows cannot walk when they are removed for slaughter. Concrete floors are slatted for the sow’s urine and feces to drop into a pit below. Many sows develop respiratory ailments from living above the toxic waste. Pneumonia is not uncommon. More than 1.3 million sows are kept in Canada, with about 318,000 in Manitoba, and the vast majority are intensively confined in sow stalls. You can make a difference! To learn how go to http://www.helpthepigs.com. If a pig is very lucky he can have a wonderful life. But, our society is such that the vast majority of pigs don’t have any luck at all and lead short, dismal lives filled with suffering. PIG VISION accompanied two pigs – two brothers – one of whom had to make his way through the merciless existence that farmed pigs are forced to endure and the other who was freed from this fate and is still alive today.